A limited liability company, or LLC, is a form of business association that combines the limited liability benefits of a corporation with the pass-through federal taxation and management flexibility of a partnership. Organizing as an Iowa LLC may be the best choice for a person looking to start a small business in the state; however, while forming an Iowa LLC has many benefits for small business owners, there are also a number of disadvantages. The major advantages to forming an LLC are the protections of limited liability and pass-through federal taxation. Limited liability protections are attractive because LLC creditors are generally unable to force LLC owners to personally pay LLC debts if the LLC does not have sufficient assets. And unlike a corporation, an LLC has the benefit of pass-through federal taxation. Profits earned by a corporation are taxed both at the entity level and again on the corporation owners’ personal tax returns. Profits earned by an LLC are only taxed once, on the LLC owners’ personal tax returns. Iowa provides a number of significant tax advantages to attract businesses to Iowa. The state does not assess any personal property tax, or sales or use tax on manufacturing equipment and machinery. Iowa’s corporation tax is only based on the amount of total sales originating in Iowa, as opposed to the corporation tax assessed by other states, which is generally a percentage of land owned and employees hired. According to the Iowa Department of Economic Development, the costs of obtaining worker’s compensation insurance and unemployment insurance in Iowa are among the cheapest in the country. 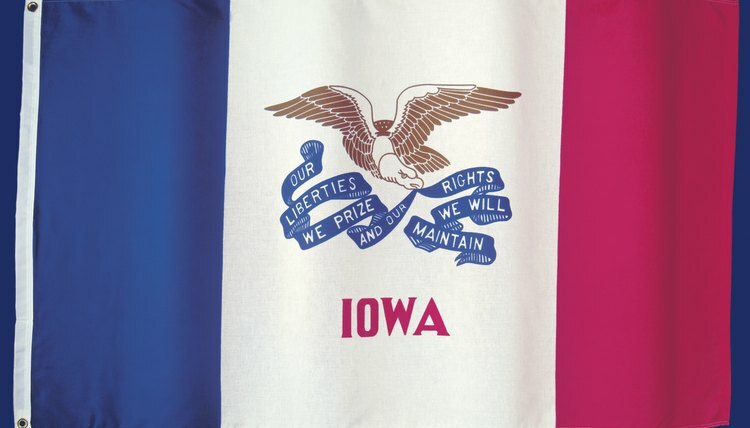 The Iowa Department of Revenue assesses a yearly tax on businesses organized in the state. As of 2010, the Iowa Corporate Income tax is 6 percent on the first $25,000 earned by the LLC, 8 percent on the next $75,000, 10 percent on the next $150,000 and 12 percent on all income over $250,000. If an LLC generates a great deal of income, Iowa's Corporate Income Tax may be higher than the tax assessed on LLC income by other states. The major disadvantage to forming an Iowa LLC is that the LLC form of business association makes attracting investment capital somewhat difficult. The owners of a corporation are able to attract investment capital by issuing more stock in the corporation, and those who wish to invest in the corporation simply purchase stock. An LLC, however, does not issue stock. Changing the ownership structure of an LLC requires a vote of all LLC owners. Forming a corporation may therefore be more suitable for companies that expect to experience rapid growth or attract significant investment. What Are the Advantages of an LLC in Wyoming? Can I Form an LLC in Delaware if I Live in Florida? A limited liability company, or LLC, is a flexible form of business association that combines the limited liability of a corporation with the pass-through federal taxation of a partnership. Forming a Delaware LLC is particularly attractive to business owners because of Delaware’s favorable tax rates. An individual does not need to be a Delaware resident or even be present in Delaware in order to form a Delaware LLC. An S-Corp is a federal income tax designation that allows individual shareholders, rather than the corporation, to pay income tax. Like many states, Florida recognizes the S-Corp elections that corporations make with the Internal Revenue Service. The S-Corp election is very advantageous for individual shareholders because Florida does not assess an individual income tax. Election as an S-Corp allows the corporation to avoid double taxation because normally shareholders pay income tax on dividends figured on after-tax earnings of the corporation. Do LLC & LLP Have Stocks? Stocks are used to raise funds to start a business or build its capital through the sale of shares. However, not all business entities are legally capable of issuing shares of stock. An entity organized as a corporation may have stocks. However, LLPs and LLCs do not have stocks, and instead profits are distributed to the members of the organization.